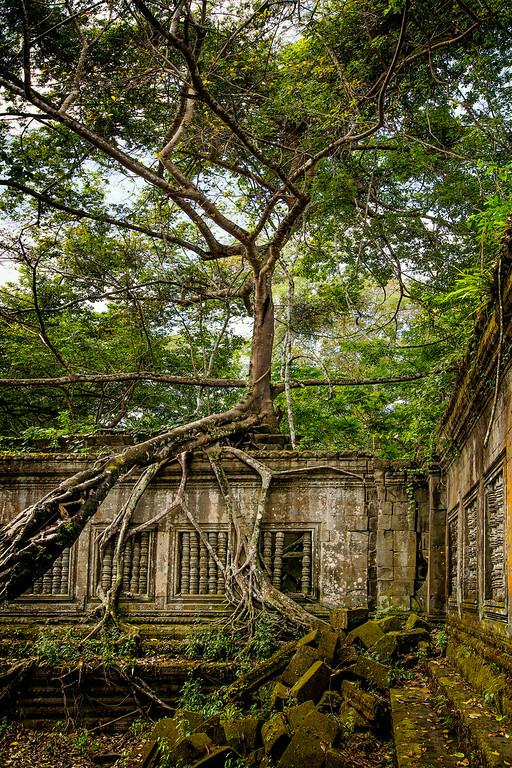 When most of the trees tear the temples apart this one is holding this wall together. With time it will eventually constrict around the stone blocks and reduce them to rubble but work is underway to try to prevent that from happening. I doubt that this will be the site of a restoration project because so much of this complex is so far gone but maybe in a few decades it will have its turn.